Sheila Contrabasso (left) and Ellen Peck (in green), along with a team of New Adventures’ volunteers, ready the registration packets for the 2017 Fall mailing in under an hour. As an all-volunteer program, New Adventures in Learning depends on its members to plan and carry out every activity. There is a wide range of volunteer opportunities. Some activities may take only a few minutes. Others can require many hours of commitment over time. The presenters for dozens of classes are perhaps the most visible of these volunteers, but many more people provide support both in the classroom and beyond. 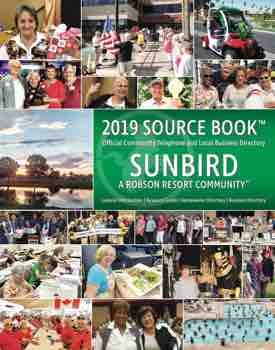 A look at the creation of the Curriculum Guide provides an example of possibilities: Various volunteers recruit presenters, proofread descriptions of classes and work with the scheduling team. 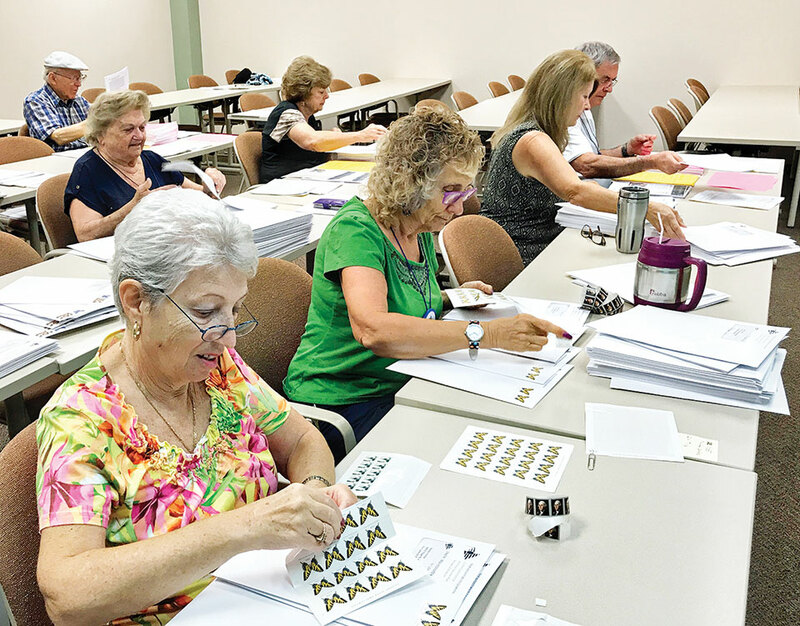 Once the guides are ready, other workers get together to mail out registration packets. New Adventure’s Governing Council keeps the organization running well with an eye always toward the future. New volunteers receive helpful support in understanding their roles. Teamwork in all areas is essential. If you are thinking of volunteering in any capacity with New Adventures, begin by filling out a yellow volunteer form. These are available in the registration packets or at the desk at the Sun Lakes Center of Chandler-Gilbert Community College, located at 25105 S. Alma School Road, Sun Lakes, AZ 85248. Additional information can be found on the website at www.newadventures.info. You can also call 480-857-5500. New Adventures in Learning is affiliated with Chandler-Gilbert Community College.